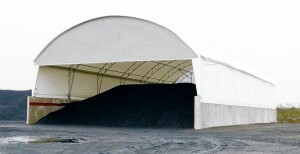 Round arch hall as dry storage | Hermann Hollmann GmbH & Co. 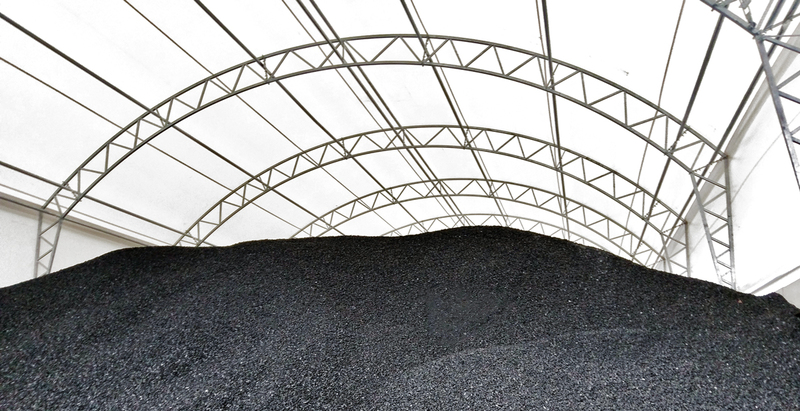 Since autumn 2016, Hermann Hollmann GmbH & Co. has got its own round arch hall. 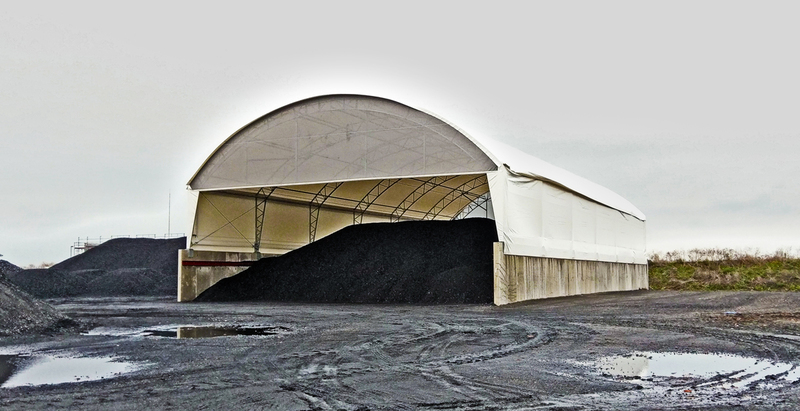 In order to maintain flexibility and to be more customizable in the coal storage on the leased storage of Verkehrsbetriebe Peine-Salzgitter in Salzgitter-Beddingen, the Hermann Hollmann GmbH & Co. has installed its own round arch hall in autumn 2016. 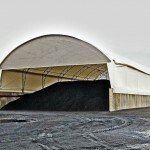 For the dry storage of anthracite coal and coke, products with a water content of <5% can now be reliably offered according to customer requirements. 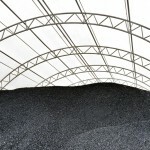 Furthermore, raw products can be stored dry, in order to be able to treat them better for screening.